Q: How can an Anglo offer a perspective on American Indians? MJ: It is presumptuous for non-Indians to speak as experts about Indian matters. We can try only to raise our awareness of Indian culture so as to have a greater understanding and appreciation for them as a people. Q: What are some of the problems that you encountered in your research? MJ: The first problem in talking about Indian people is which Indian people? There were more than five hundred tribes in North America when the Europeans arrived. Each was an individual nation, some as different as Britain is from France in language and culture, others as different as the British are from the Chinese. Sign language came into being because Indians never shared a common language. They needed hand signs to trade with each other. American Indians are not a homogenous group. Few generalizations apply from one tribe to the other. The grave mistake that our ancestors made was that they put all Indians into one category, one class. The name of that class was…savages. In reality, Indian cultures were very complex in every way that we now measure civilizations. In government. In religion. In the arts. In earth sciences. In many tribes, the success of the Indian societies was superior to the European societies who judged them. Q: What were some of the judgmental mistakes? MJ: When European white men first heard Indian drumming and singing, for example, they considered it non-musical, a form of savage screaming. In fact, the music had an eastern scale, not a western one. The fact that Eurocentric musicians could not notate the Indian songs was due to their deficiency, not to lack of merit of the Indian composition. In nearly every aspect of Indian culture, the Europeans missed the significances. They dismissed what they could not understand. Any humanistic impulse was sacrificed to greed—greed for land, greed for gold or silver, and now for uranium or water. Today, sadly, non-Indian America still does not understand the values of American Indian culture. We continue to dishonor them, to call for their surrender into our culture. Historically, our government has perpetrated a genocide against American Indians, and to this very day, we deny them treaty rights and elemental justice that negates our own Constitution and honor. If we study, with an open mind and an open heart, the treatment of Indians in our country, we will weep tears of shame. As a nation, we do not live up to our professed ideals. In many acts of our government, American Indians are still treated like prisoners of war, or even more humiliating, as children. Q: What was your motivation for writing novels with Native American characters? MJ: I did not set out to study or to remedy the errors of the ugly history with regard to American Indians. I was both blind and ignorant to their plight. 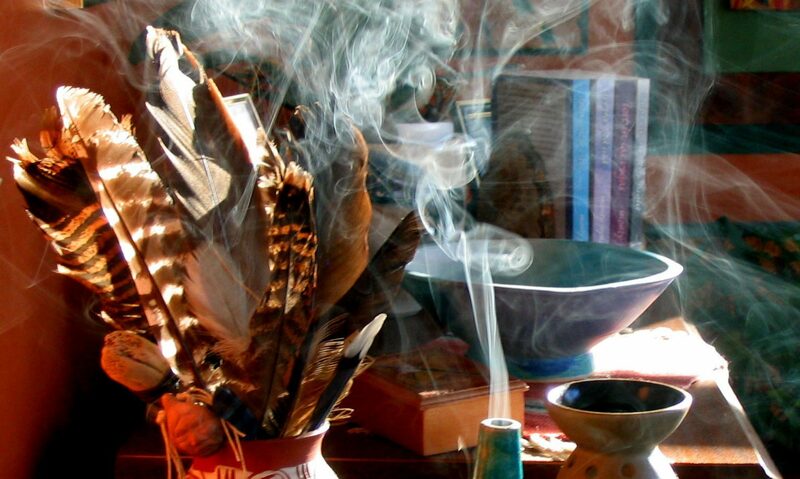 In writing a novel that engendered visionary experiences, that is, content that presented itself apart from my research or intelligence, my principal character took me to Santa Fe and to a Pueblo Indian traditional community. I didn’t ask why. I followed the character and did the research he required to function as a multidimensional personality. His path led on and on, for years and years through the writing of four separate novels. He now beckons me to a fifth. Along the path, I read more than fifty books and traveled to the places the character wanted to go. My consciousness was altered in the process. I became a more intuitive person. I believe that my attention, focus, and contemplation of the American Indian world helped me become a better human being. Q: Are you an Indian wannabe? MJ: It was not necessary (or desirable) to become an Indian wannabe in my process. I can never be an Indian. But I can learn. I can improve myself through respect. I can honor what I respect. And I can promote what I honor. Q: Don’t you run into hostility when you research among Indians? MJ: Sure. For very good reasons, Indians are angry. Indians distrust wannabes and non-Indians who want to study them. The record of betrayal by white missionaries, anthropologists, and writers is an outrage that causes them to shun us with suspicion. I am disappointed when my sincerity is questioned, but I understand what causes the reaction. We have not earned their trust. Time and time again, our culture has failed to keep its word, its promises. We are viewed as just the most recent exploiters. Q: There is that conflict, but don’t Indians also have problems among themselves? MJ: Yes, there is turmoil at the tribal level. Who is qualified to be a tribal member? What percentage of Indian blood? Who rules the tribe—traditional elders or tribal politicians? In many tribes, economic control is given precedence over preserving the language and spiritual traditions. Most tribes are split along these lines. In some places, violence is common in the battle for tribal resources. Full-blood, traditionally oriented Indians are in the minority. Often they battle for cultural preservation against those who have seized political control of the tribal identity. It is almost impossible for non-Indians to play positive roles in this struggle. 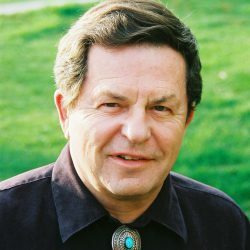 Greed on the reservations may be the ultimate killer of tribal languages and sacred ceremonies that contain unique knowledge important to humankind. And when it is lost, it is lost forever. Most of the understanding of reality contained in the languages and traditions of the five hundred original tribal nations has already been lost. It is a great tragedy to human evolution. Humankind cannot afford to lose the few that may yet be saved. Q: Your books have a strong ecological point of view. Can you talk about that? MJ: Indo-European culture based on Greek logic and the objectification of nature is killing the planet. Its warped reality requires an intuitive balance for us to survive as a species. We Indo-Europeans desperately need the insights of the intuitive, land-based human cultures. In destroying them, we cut ourselves off from our Earth Mother who will, in the fullness of time, reject our exploitation of air and water and allow us to pass away. Evolution is about how the division of basic cultures perceive reality. Rational Man vs. Intuitive Man. Rational Man, which represents the objectification of nature as reality, is now the dominant culture of planet Earth. The land-based intuitive peoples of the planet are being forced into extinction. American Indians are a great treasure. We must honor them, respect them, and seek justice for them if we, too, are to survive.